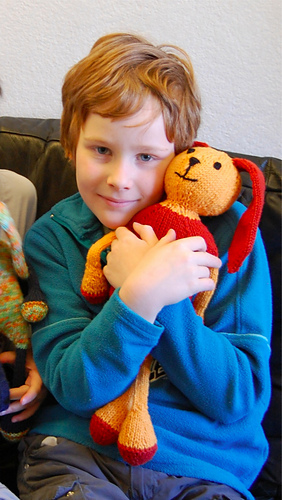 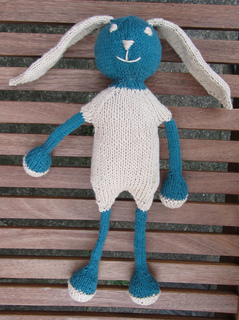 Fridolin’s long, skinny legs and arms together with his long floppy ears make him perfect for small hands. 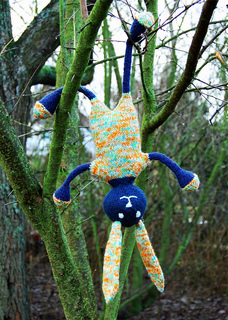 He can easily be grabbed and carried around. 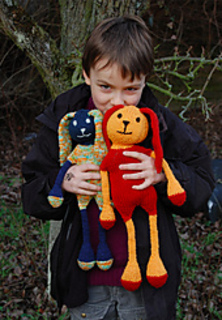 He also makes a perfect snugly companion for anyone, who could resist his charm? 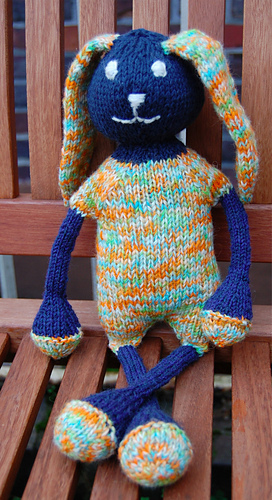 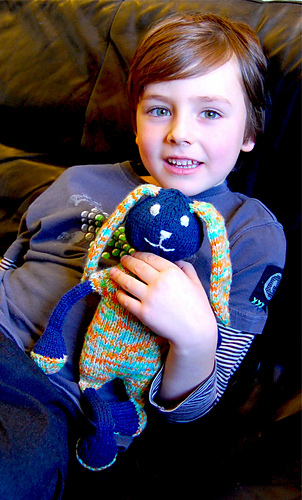 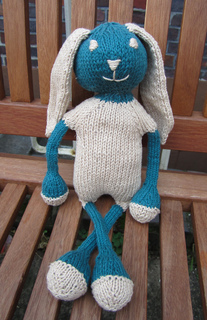 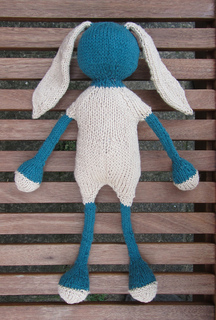 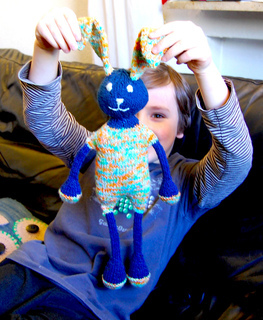 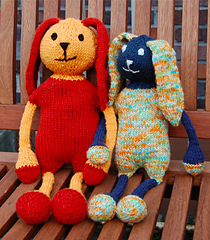 You can make Fridolin the bunny in different sizes by using different yarn weights. 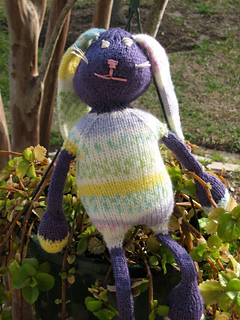 Below is the information for sock yarn using two strands, Knit Picks CotLin and worsted weight yarn, you can of course use a different yarn type if you want but keep in mind that the size will also be different.